Home › Reviews › Four Corners Alliance Group Scam? Four Corners Alliance Group Scam? 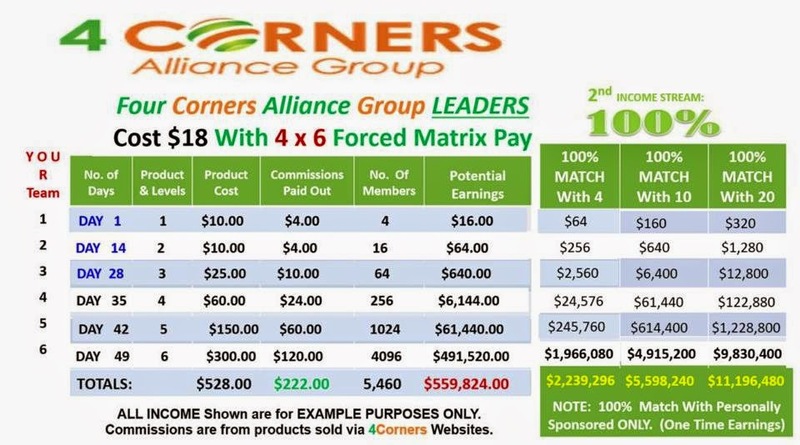 I was made aware of 4 Corners Alliance Group by a video posted on Google +, the claims, seemed to be to good to be true. I am always game when it comes to looking at something new that sounds interesting. You never know what you’ll find. This will be based on my personal opinion. Just one payment of $18.00 and you are able to resell personal financial books. The subject of the material is real-estate investment, the stock market, and precious metal investment educational materials. Then you also start recruiting people (aka Suckers) out of their $18.00. They use a 4X6 matrix pyramid structure. So basically your recruit four people, then those four people recruit (hopefully) 4 more people each, and that just keeps going down to six levels deep. Here is their chart matrix. So you get paid $4.00 a person you recruit for the first two levels. Then after that, you get paid $10.00 a person, then $24.00 and $60.00 and so forth, advancing in pay with the number of people recruited by you or the people you recruited. The higher the level, the more commission you make. Keep in mind it’s potential earnings; things rarely translate exactly into the real world. The majority of the money you could earn is through convincing people to join. You will also be trying to sell products (books) to earn commissions on them. You will also eventually have to get signed up for the newsletter, which is $29.95 a month. At each level, you must pay some way or another to advance to the next level. They usually take it out of your commissions, or referrals, so at least it not directly out of pocket. So is your, “scam-dar,” going off, yet? Multi-Level Marketing (MLM) or Pyramid scam? But wait, it is a legal business because they sell books and that’s is the part that makes them legal and not shut down by the government. You have to provide a product, and 4 Corners does! Just because they are a legal business doesn’t mean it’s legit. So don’t believe the hype the people spew, and there are numerous people out there promoting this. The price a low, low $18.00, not a bad price to start. You pay $8.00 for the enrollment fee; then you pay $10.00 for a book, Financial Literacy – 1 Understanding Precious Metals Investments. You also get a Company replicated website, which you can recruit people from by advertising on the internet and social media. 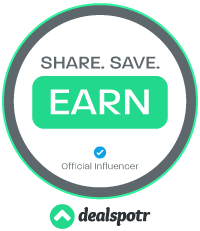 Residual Income – if you continue to be a member and stay a member. The product has a lot of content with an extensive quantity of books. Products are a downloadable E-book. If you got in early, you properly make money, but this has been around a while, so it is much more difficult to earn money from this program. It could be a good business opportunity but difficult to promote. Saturation is a big problem with this kind of system. Instead of E-book maybe have videos which people prefer. Walks a fine line between scam and legit business. Who is 4 Corners Alliance Group For? I believe 4 Corners is marketing towards the lower income bracket, thus the low introductory price of $18.00. Which I think is very appealing but also throws up red flags to me. People must have the available time to invest too, and if you’re not willing to invest the time and still remain in the program, you will be losing money by spending it on their books, training, and newsletter. So you would have to be a real go-getter. They have a training platform called Starien – Marketing Academy to help eliminate the learning curve of being profitable online. They have live coaching calls, networking events and education. All the while networking with other like-minded people. I really like seeing a company that has a community and education system. Support can be attained by accessing it thru you members back office or via email. They claim to deal with support questions in 24 hours time. Their hours are Mon-Fri 7am-4pm US EST. Though I think you could make some money at this, I think the only people that would get rich are the people that joined in the beginning and the owner. I’m not looking to get other people rich, just myself. Call me selfish, I guess. The product you offer here doesn’t seem like anything new and not much in the way of value, I could go down to the local bookstore and probably find cheaper books on the subjects also. ‹ What is Jaaxy About? You would like to be a member of what? I don’t know what you are referring to.